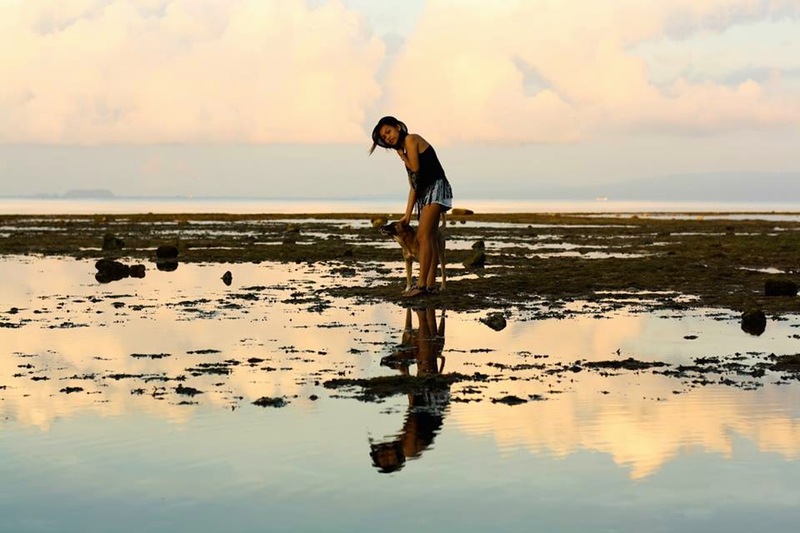 Senyorita Lakwachera: Our own share of Siquijor’s moment of peculiarity. Lucid dream: This photo was taken five in the morning while we were having our leisure walk at San Juan beach in front of Tori’s Backpacker's Paradise. The calm sea, the colors of the seaweeds that cover the shoreline, the glassy water, the pinkish clouds, Tomas' dog that came playing with us like we’ve known each other since then, it all seems like a lucid dream. Siquijor - the healing paradise. The island known for its residents witches and shamans, of talismans and potions, and of nights lit by fireflies. To my surprise it was never like any of those when I experienced it. Everything was just calm, happy and vibrant. The warm smiles of the locals are very inviting, the white sand beach and its turquoise water, the nice road and the peaceful environment – it all almost made me feel as if I was bewitched. There were no creepy looking people, I have not noticed anyone tapping someone else’s shoulder and passing their course, like what usually happens in the port on my Siquijornon Aunt’s stories, not a sinister thing in the dark night, no ghostly happening ,but only a strange instance of a hot sauce that exploded all by itself, the sauce shattered all over the place and much in my face making me look like a vampire while the bottle flies for about two meters away from the bar. All that happened while we are having a good chat with some foreign backpackers, we are sharing thoughts of why we are visiting the island and sharing our own piece of disbeliefs to some of its exaggerated supernatural lore. For the sauce, I don’t let myself be succumbed in fears, I ended up joking that the staff at the resort which was one of us in the storytelling just wanted to show us some tricks and then everyone followed with their own version of jokes. We all ended up the night fine with sumptuous meals and some drinks before bedtime. Although we stood strong in our belief that something might have caused the explosion, I can’t help myself but think about the possible reason why it happened. I had a first theory of the weather, it was scorching hot that day and I thought that made the hot sauce hotter that it explodes. But, Tomas the owner of the Inn said it never happen before on the same weather so we run out of idea. Nosy to prove, I searched on the web and found out some incidents of the same kind, it says that the explosion is caused by bad fermentation. According to some reading, all ketchup do ferments, warm temperature speeds up the fermentation that creates forms of gases that causes the explosion. So this time I am quite right about my first thought of the hot weather. On the other hand, I still find it interesting despite of the scientific explanation. Not because I fully believe in the mystery, but because I was amused by the circumstance. Mystical or not, it was an exciting and memorable moment to experience, our own share of Siquijor’s moment of peculiarity.